The No. 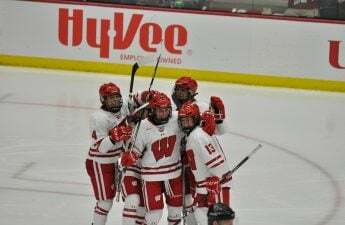 1 ranked Badgers (8-1-0, 4-1-0 WCHA) faced off against the No. 3 Minnesota Golden Gophers (8-1-1, 5-1-1 WCHA) at LaBahn arena Saturday. 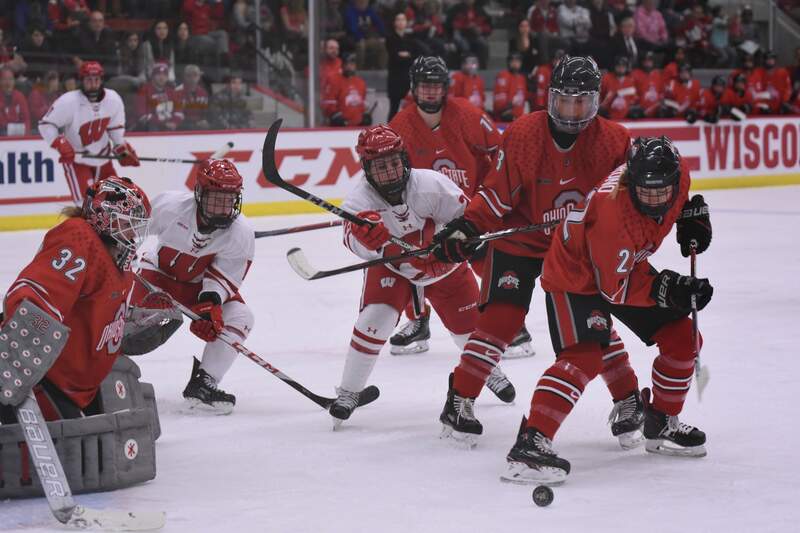 Minnesota handed the Badgers their first loss of the season, spoiling the Badgers’ undefeated season as well as snapping a 35 home-game winning streak at LaBahn with a 1–0 victory. The Badgers got off to a shaky start in the first period as they struggled to maintain possession and were often on their heels defensively. Within the first minute of the period, the Gophers fired three shots on goal, all of which were handled by redshirt junior goalkeeper Kristen Campbell. In fact, it was the stunning performance from Campbell that kept the Badgers in the game during the first period. Minnesota organized multiple promising attacks in the opening minutes of the game, including a one-on-one breakaway lead by Minnesota junior Kippin Keller that was effectively quelled by Campbell. The Badgers failed to create a meaningful chance to score even when they went on a power play near the end of the first, recording zero shot attempts during the two minutes. While both teams ended the first with a total of 10 shots on goal, Minnesota placed much more pressure on the Badgers and had much better looks on goal. Momentum noticeably shifted during the second period of the game, as the Badgers began to add meaningful shots on goal to the stat sheet. Sophomore Brette Pettet had two open goal chances at separate points during the second period, but she was unable to gain control over each pass and failed to get a shot off. Once again, the stat line for the two teams was nearly identical. But unlike the first period, Wisconsin was able to place an enormous amount of pressure on the Gophers’ goalkeeper, sophomore Alex Gulstene. Moving into the third period the score remained 0–0, with each team failing to convert on a number of quality chances earlier in the game. Tensions were high in LaBahn as the Gophers had effectively shut down Wisconsin’s high-powered offense up to this point. This close of a contest was virgin territory for the Badgers, as they had scored a minimum of three goals in each of their prior eight games. The third period got off to a hot start, as Wisconsin went on another power play just 10 seconds after the faceoff. 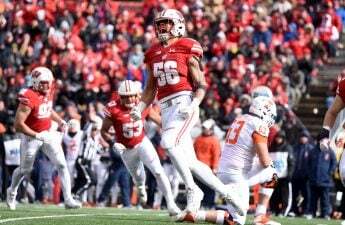 A few opportunities were there for the taking, but the Badgers did not capitalize on any of them. After Campbell managed to impressively save a backhand shot from Minnesota freshman Crystalyn Hengler, redshirt senior Annie Pankowski incurred a tripping penalty seven minutes into the period. Less than a minute later, the Gophers added the first and only goal of the game off of a wrist shot from Emily Brown of the Gophers. Wisconsin created a few chances later in the period, specifically from standout freshman Sophie Shirley with seven minutes left in the game. Unfortunately, none of these chances would come to fruition, and the game ended in a 1–0 victory for Minnesota. 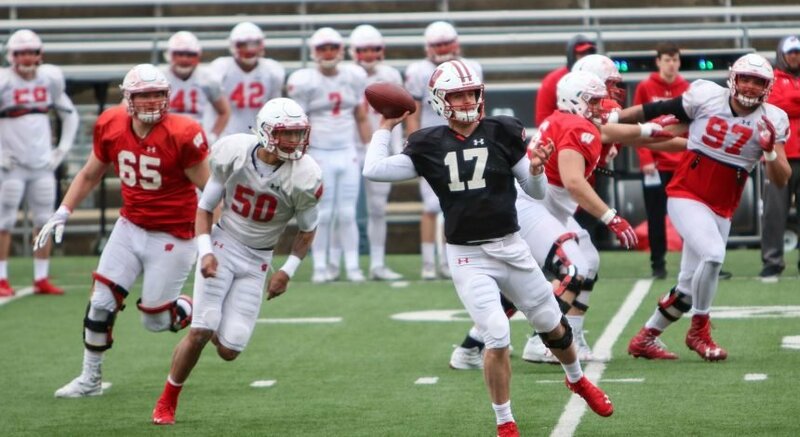 The Badgers will get another crack at the Gophers tomorrow at LaBahn, seeking to reignite the offensive weapons that have allowed them to largely dominate their opponents up to this point in the season.